Green Camel has successfully developed the technology to build and operate industry-leading commercial organic glasshouses, with production at the same or better yields than conventional hydroponic glasshouse producers. Green Camel AgTech works by maximising the efficiency of product per litre of water and square metre used, the facility is compact and highly productive. In fact, we grow over 130,000kg of fresh leafy greens in an area of just 0.4ha. 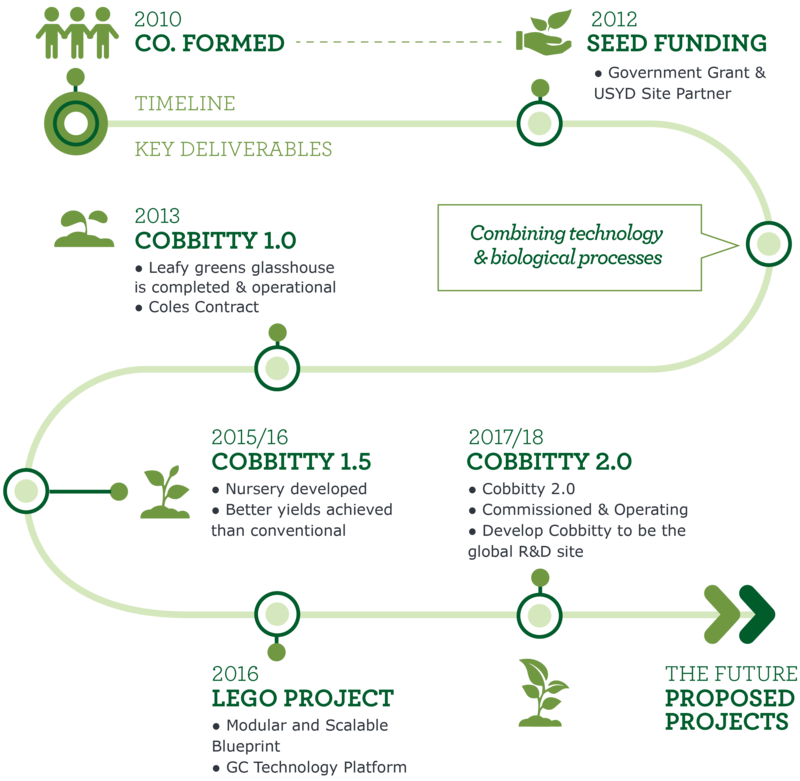 This success is demonstrated by the 0.7ha glasshouse production, Cobbitty 1.0 and Cobbitty 1.5 (60km south west of Sydney). These sites use Green Camel’s food production system to grow organically certified tomatoes, leafy greens and barramundi. With zero effluent, zero run-off & zero waste, Green Camel delivers certified organic, consistent & high yielding produce. We grow commercial quantities of fresh basil, coriander, parsley, Asian vegetables, tomatoes and leafy greens. Our use of AgTech enables our system to operate without the use of synthetic pesticides, fungicides or inorganic fertilizer inputs. We have the capacity to produce over 180,000kg of leafy greens and 16,000kg of tomatoes per year. Consistent and predictable integrated growing process for crops and fish. We have the capacity to produce over 12,000kg Barramundi per year. All of our crops are Certified Organic. Our facility, processes and products are SQF accredited for food safety. Continued investment and commitment to R&D.